1. 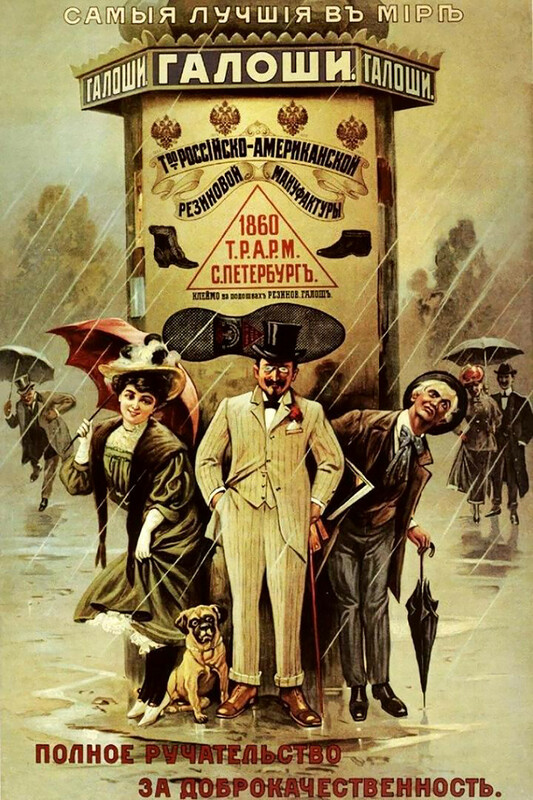 Advertisement for galoshes by TRARM, the first Russian rubber factory. “Full quality guarantee,” says the poster. 2. 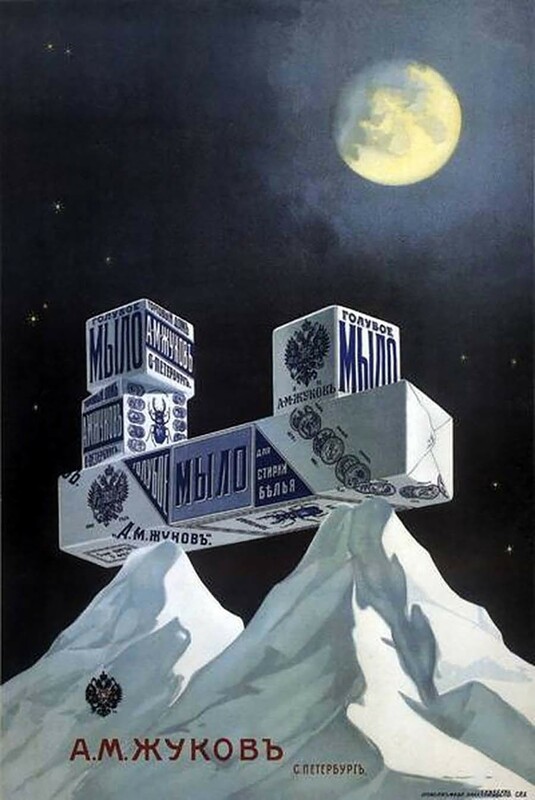 The poster advertises cigarettes by the Bogdanov & Co factory. 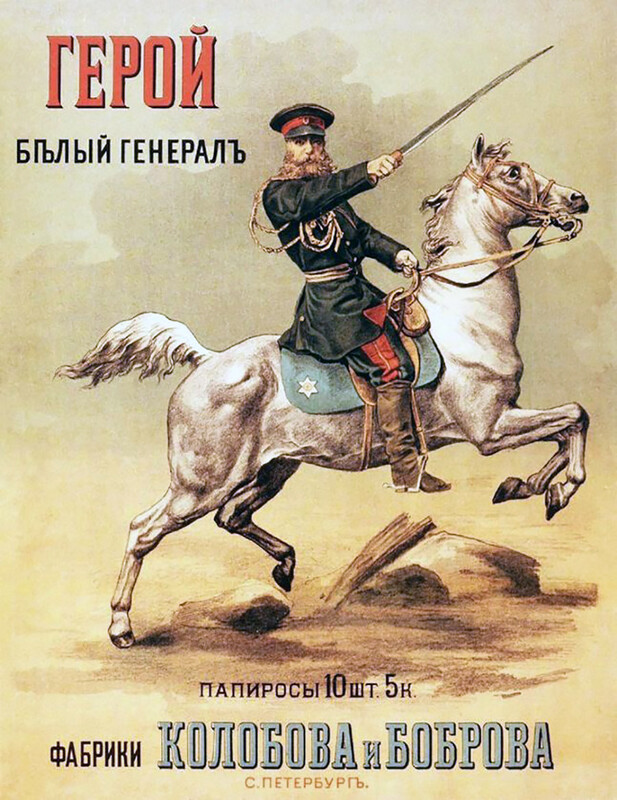 It was issued during the Russo-Japanese war (1905) and insinuates that only real heroes smoke such cigarettes. 3. 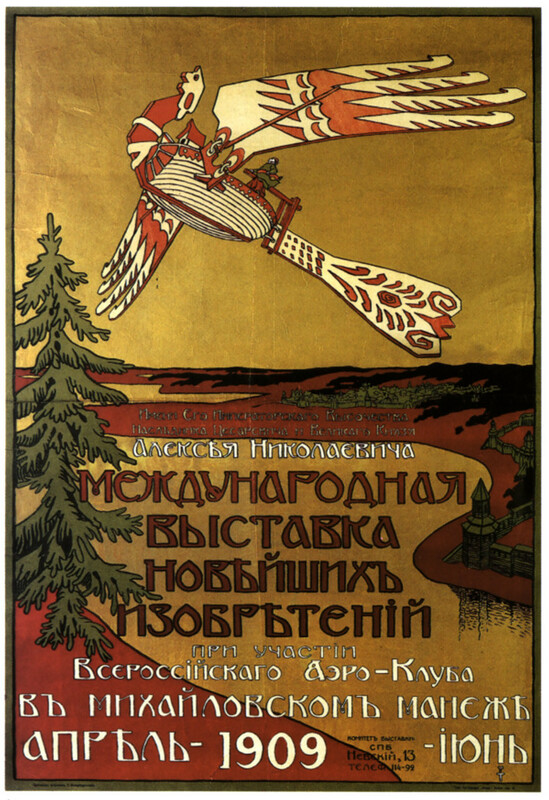 The flying ship from Russian fairy tales in this poster advertises the “International Exhibition of the Newest Inventions,” which was held April-June 1909. 4. 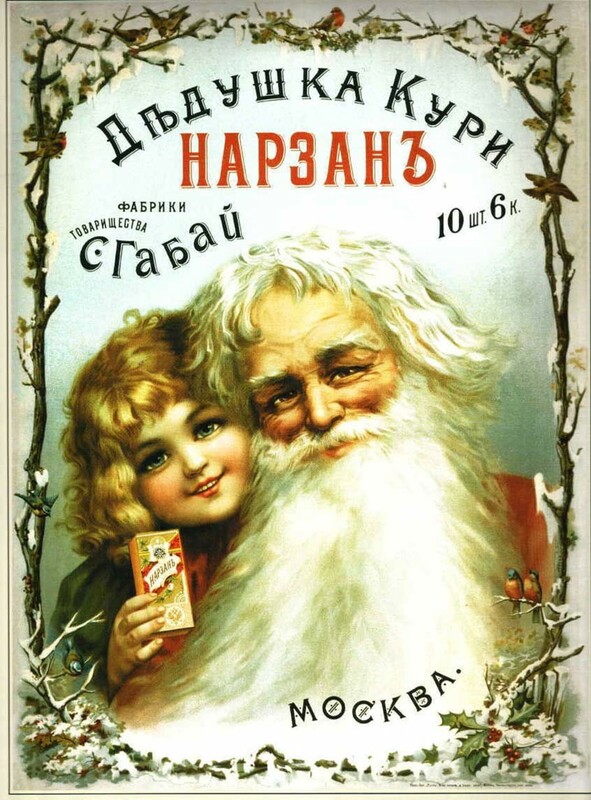 “Grandpa, smoke Narzan!” calls a small girl holding cigarettes by the S. Gabay factory. 5. 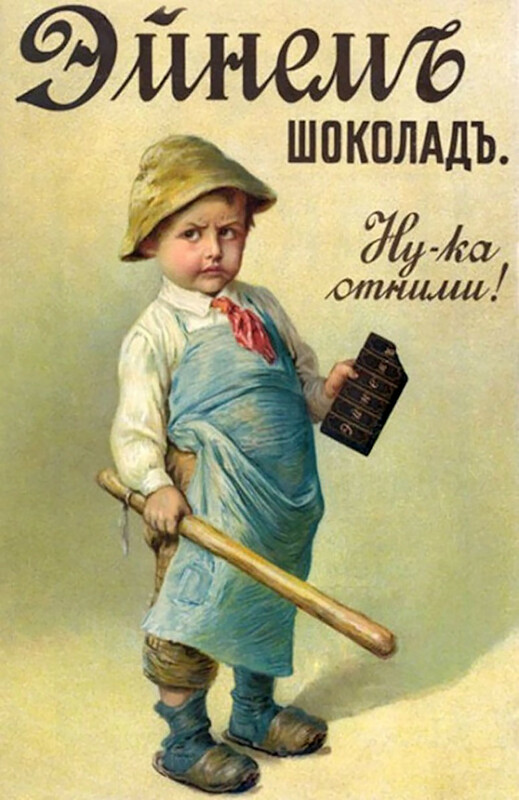 “Just you try and take it!” threatens a little boy holding a stick and chocolate made by the confectionary manufacturer Einem. Founded by the German entrepreneur Ferdinand Theodor von Einem in 1889, the factory was nationalized after the 1917 Revolution and became known as “Krasny Oktyabr” (Red October). 6. 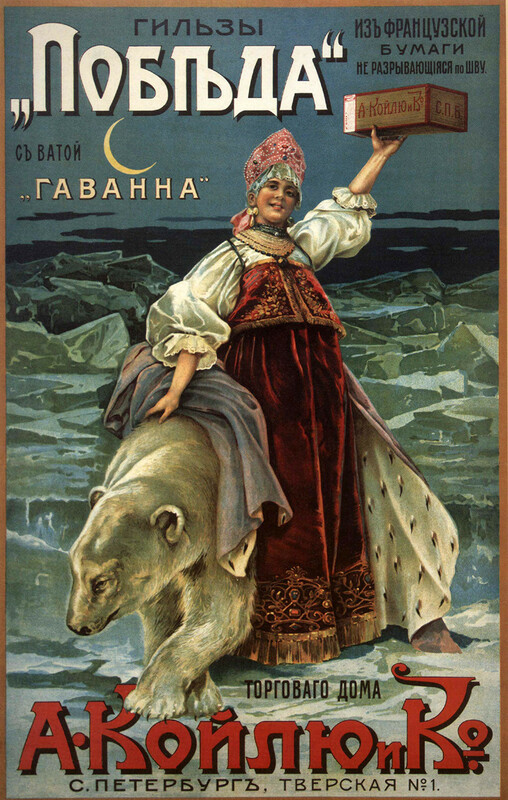 An advertisement for products from Weiner’s Brewery, located in the southern Russian city of Astrakhan. 7. 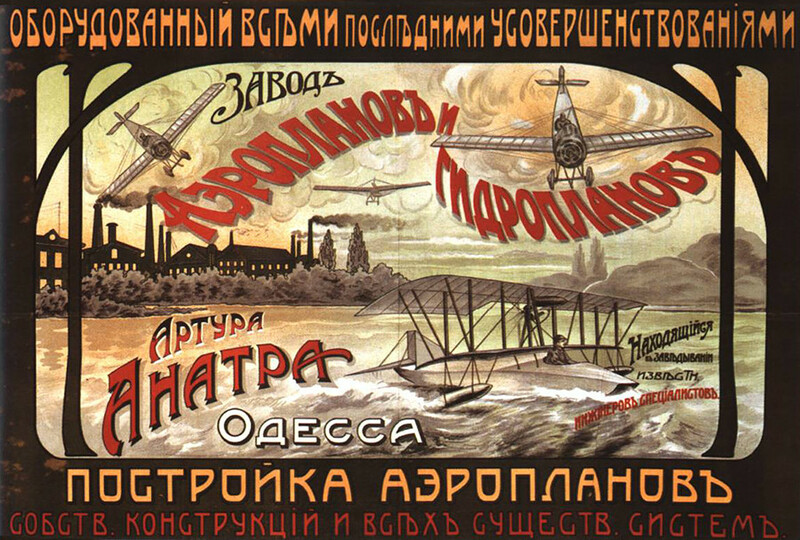 The poster advertises airplanes and seaplanes by the leading aircraft-building factory of Arthur Anatra, based in Odessa. 8. 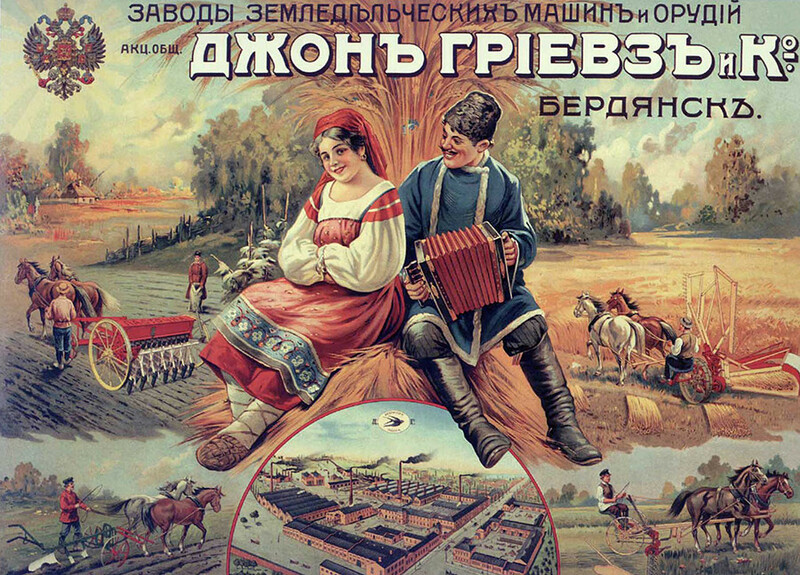 Advertising poster by the TRARM rubber factory. 9. 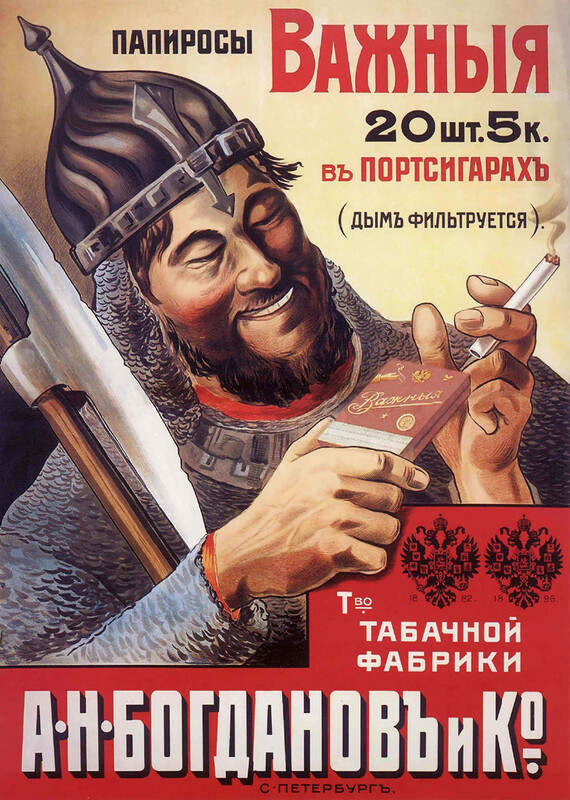 “Smoke the best cigarettes!” says this ad of the Moscow-based Dukat factory. 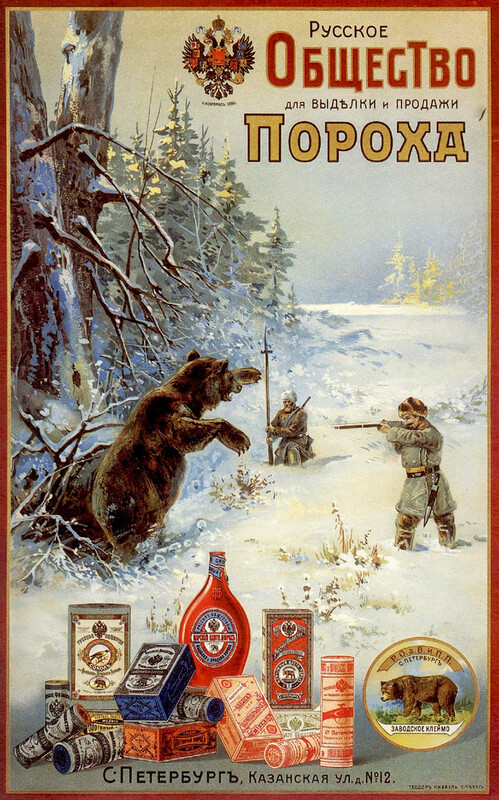 11.“The Russian Society for Production and Sale of Gun Powder” advertises products for hunters. 12. 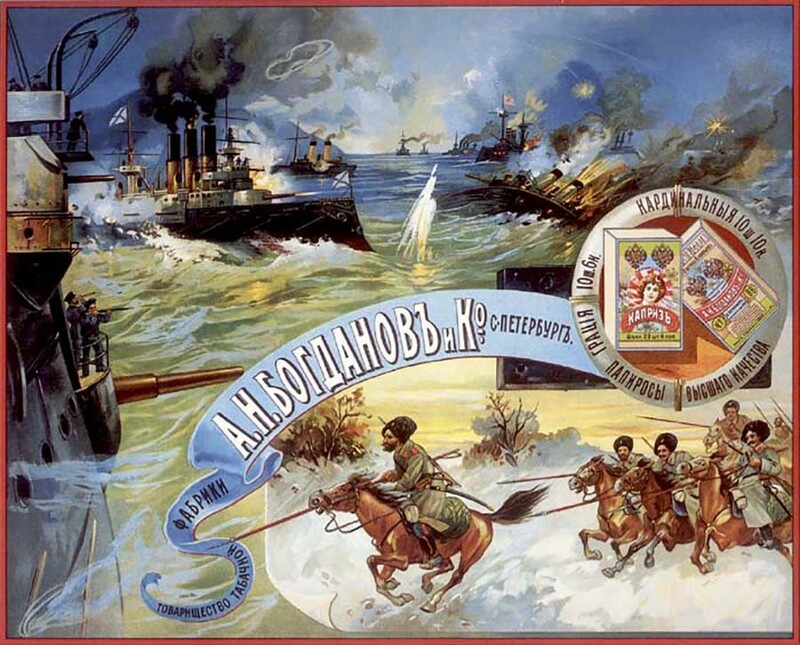 A soap advertisement by the A.M. Zhukov factory. The enterprise managed to survive to the present day and today operates under the name Aist (Stork). 13. 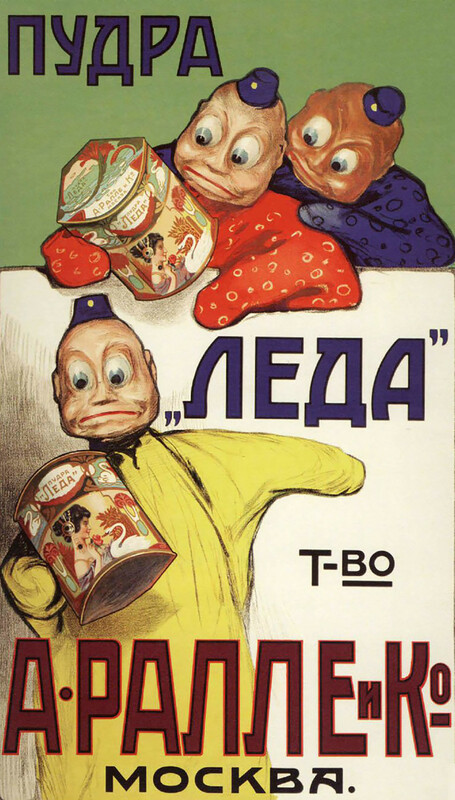 The poster advertises Leda powder made by the A. Ralle & Co enterprise. 15. The poster was issued by the Plant of Agricultural Machinery and Implements, founded by British Vice-Council John Greaves. The enterprise continues its activity today as KSC Berdyansk Reapers. 16. 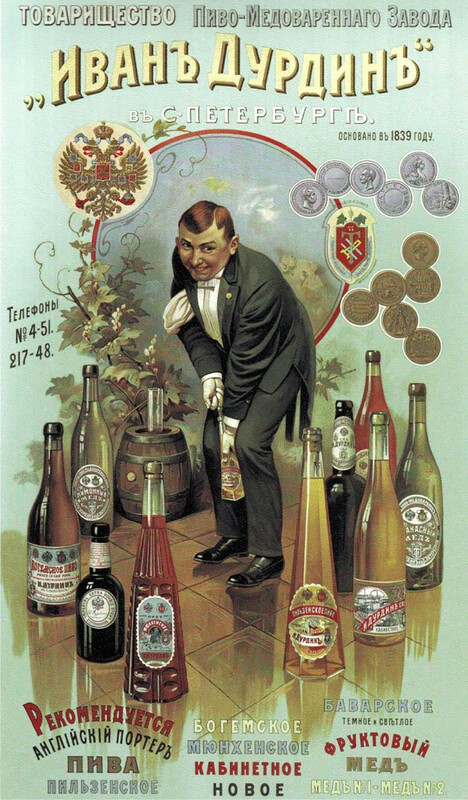 The poster advertises a wide range of alcohol beverages by the Ivan Durdin brewery. 17. Advertisement for tobacco products by the A. Koylu & Co enterprise. 18. 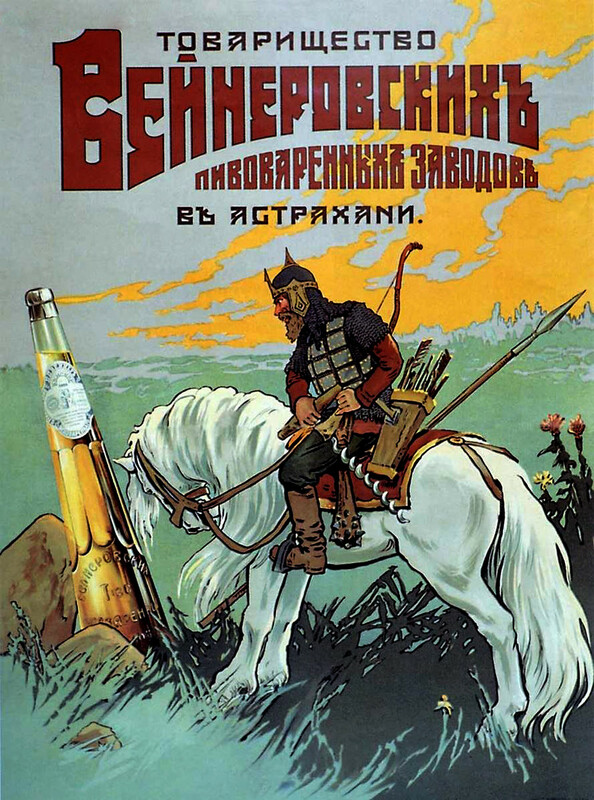 The poster depicts a bogatyr from Slavic medieval legends holding Vazhnuya (Important) cigarettes by the Bogdanov & Co factory. 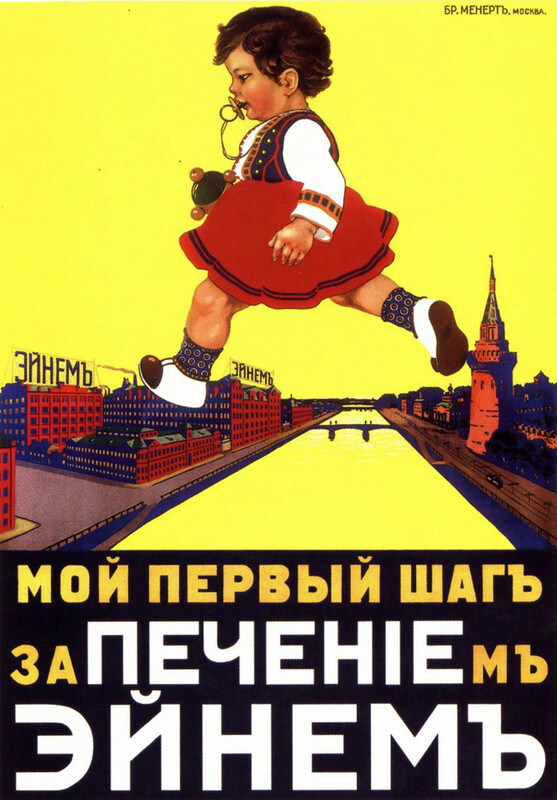 And here you can see Soviet advertisement posters. 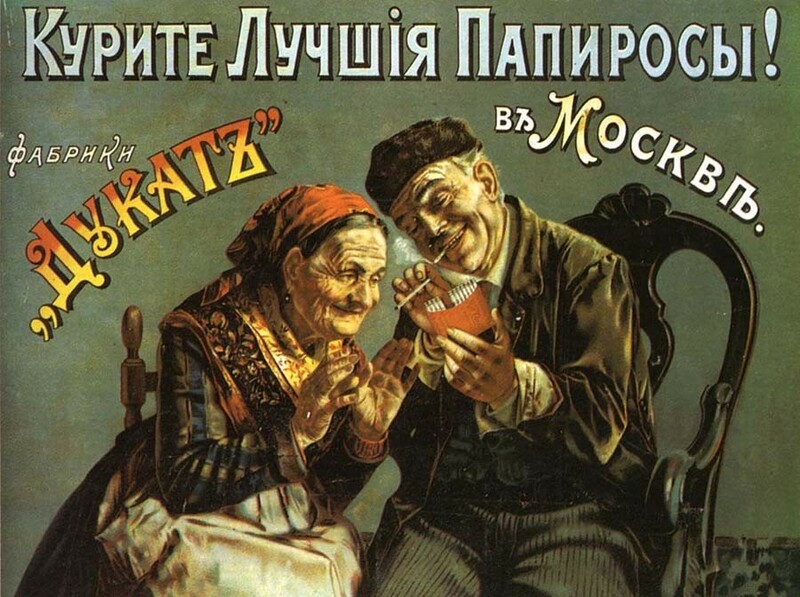 What's wrong with this controversial advert for pensioners by Russia’s biggest bank?